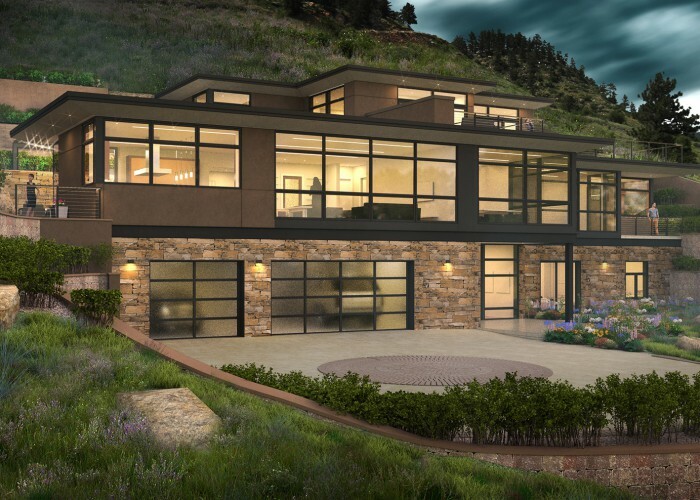 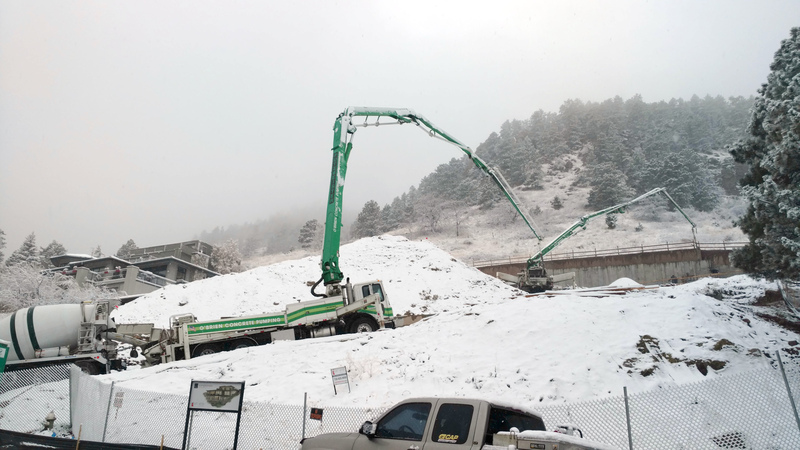 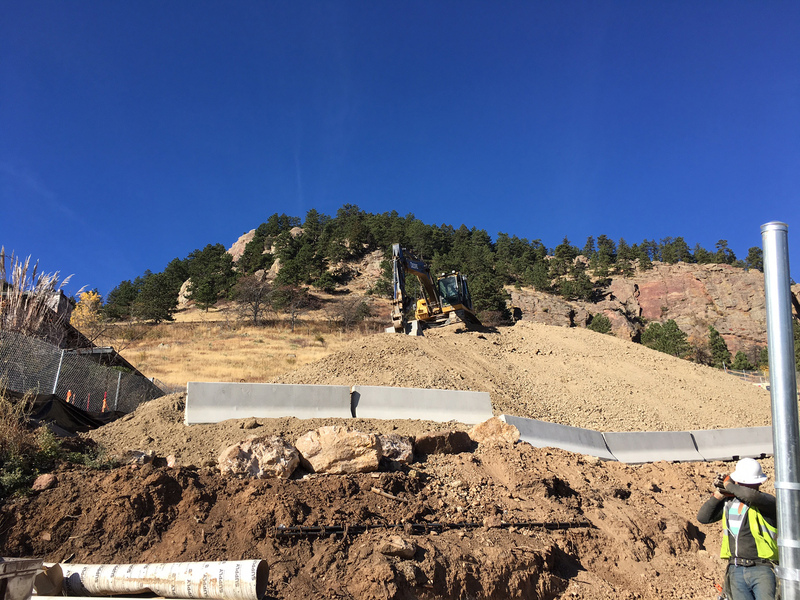 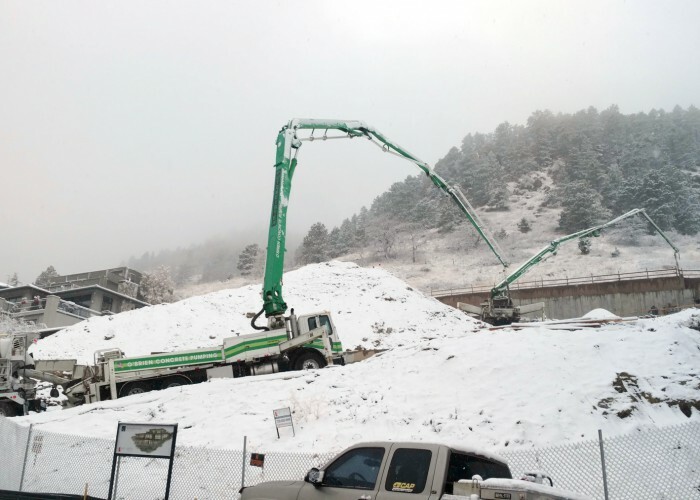 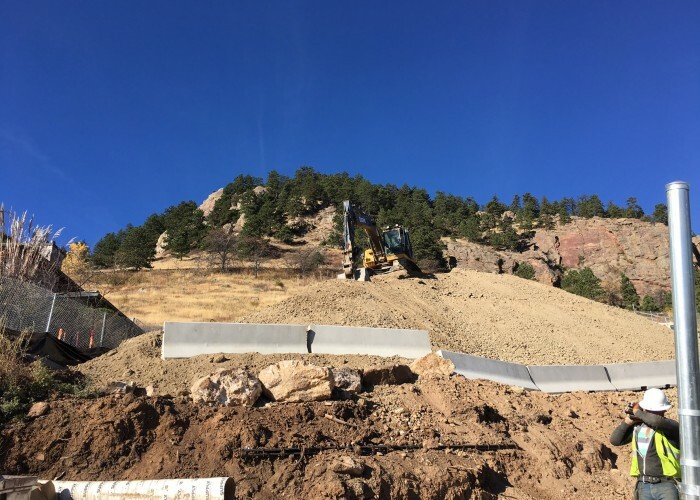 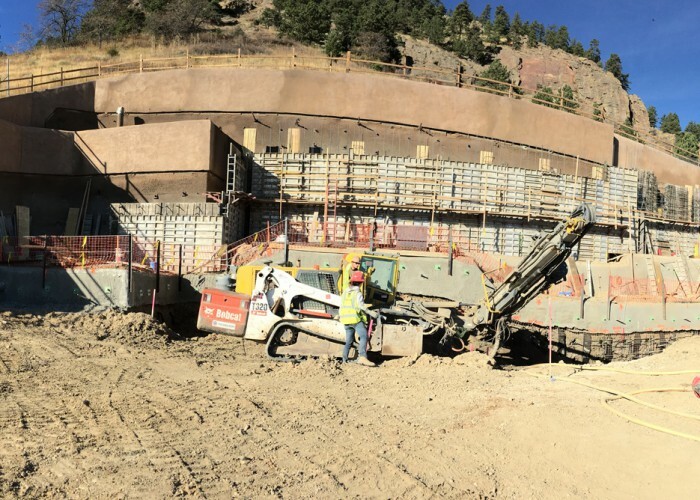 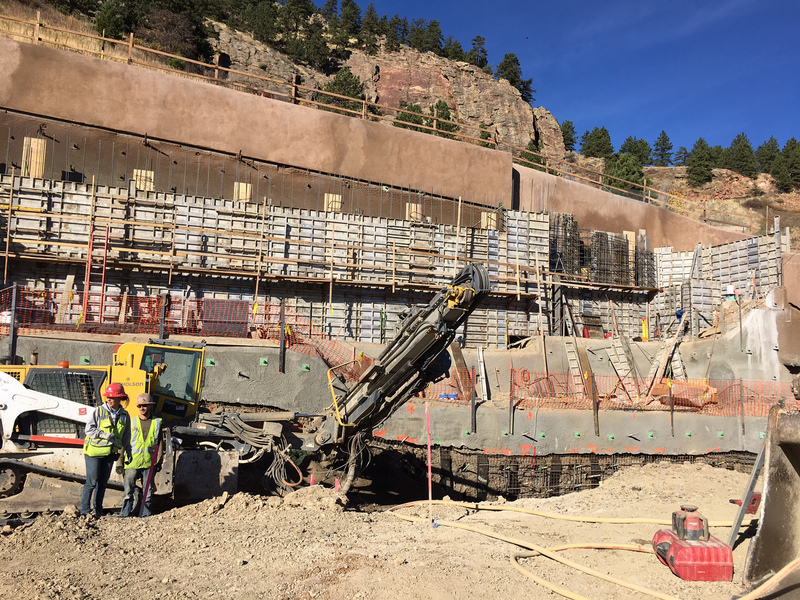 Located at the base of Flagstaff Mountain, Terra Nova is set on a steeply sloping lot overlooking the City of Boulder and Boulder Mountain Parks. 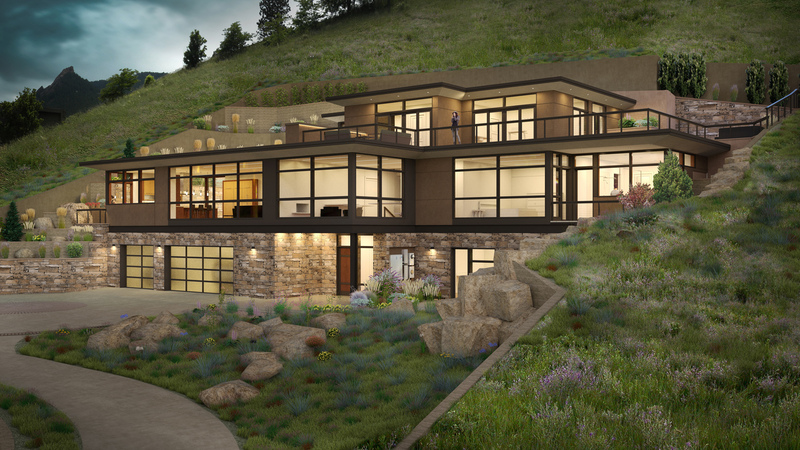 Intentionally blending into the surrounding vernacular, this custom home contours to the hillside around it. 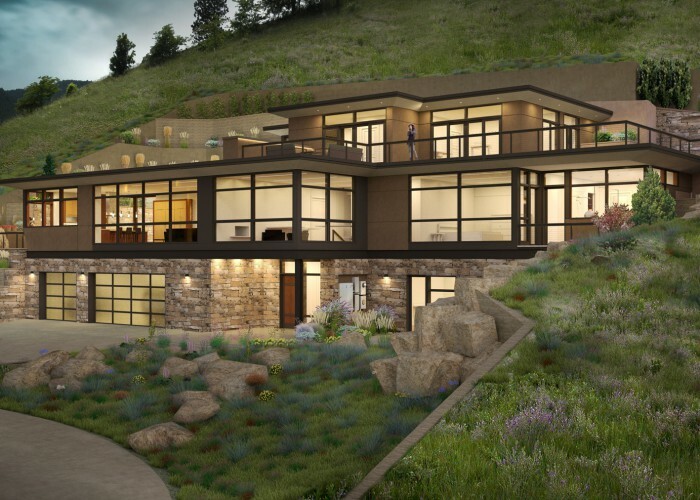 Materials like local stone and carefully designed landscape architecture complement its neighboring boulders, rock formations and grassy hillside. 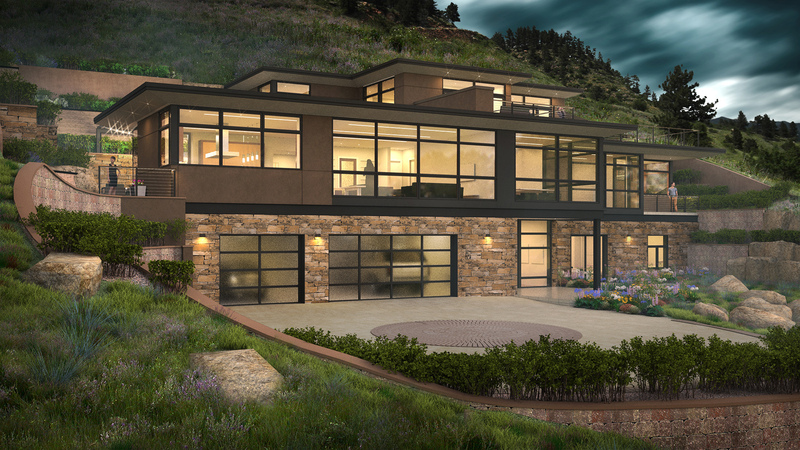 Copyright © 2015 Josh White Custom Homes.